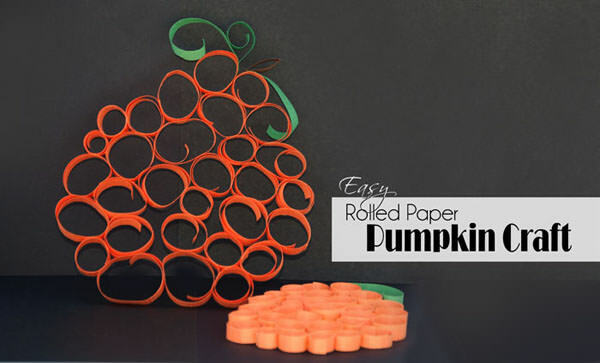 Materials: All you need for this project is paper (orange, green and brown), scissors and glue. Yep. That’s it. You don’t have to buy anything fancy, and it can be done by little ones (with a little help). 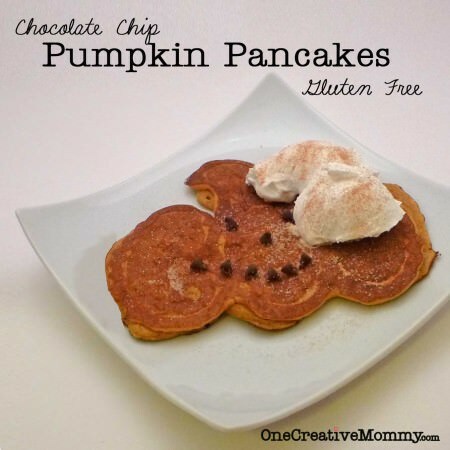 Cut one brown and a few green strips for each pumpkin that you plan to make. 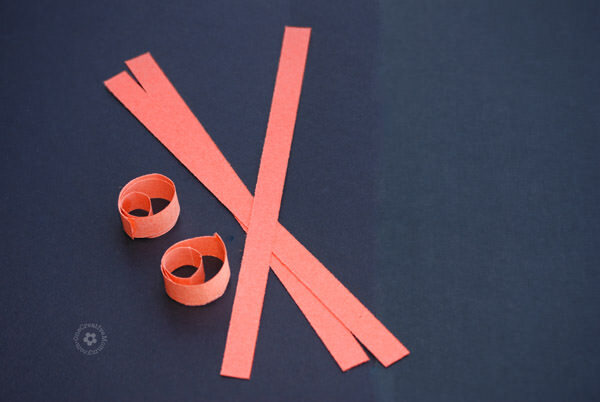 Begin with the orange strips. 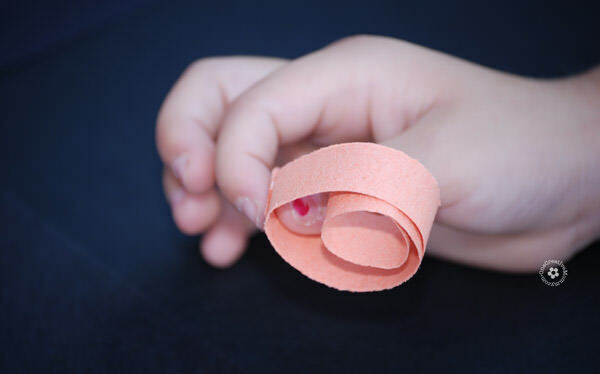 Roll each strip and secure the end with a bead of glue. Pinch the glued spot between your figures for 30 seconds or so. Don’t try to make the curls all the same size. The pumpkins have a lot more character when the sizes are different. Once you have made about thirty orange curls, lay them out to form a round-ish shape. Glue the curls together, taking time again to pinch the pieces together for a few seconds to help the glue set. Add a stem and a few green paper curls. 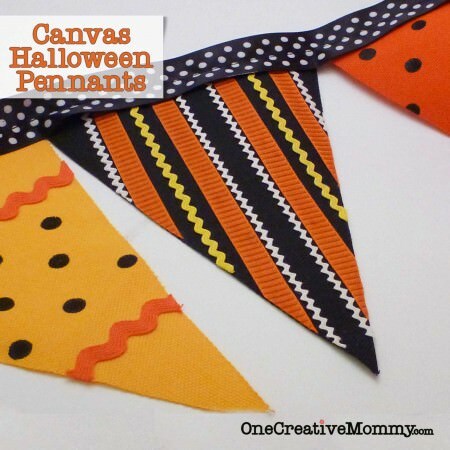 I absolutely LOVE this project…so fun and easy! Thanks so much, Ang. I was so excited when I found it in the Halloween box! I LOVE this idea! 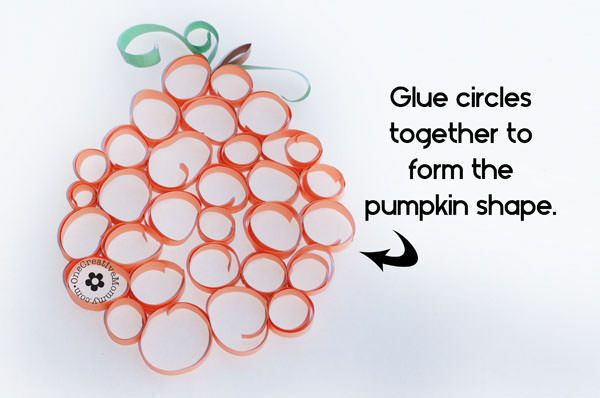 Simple crafts are always the best…and you can take this in so many directions! Thanks for the idea and tutorial! I totally agree, Nikki! I’ve already got some plans for future seasons! Thanks, Mitzi. That would be a great teacher project! So fun! 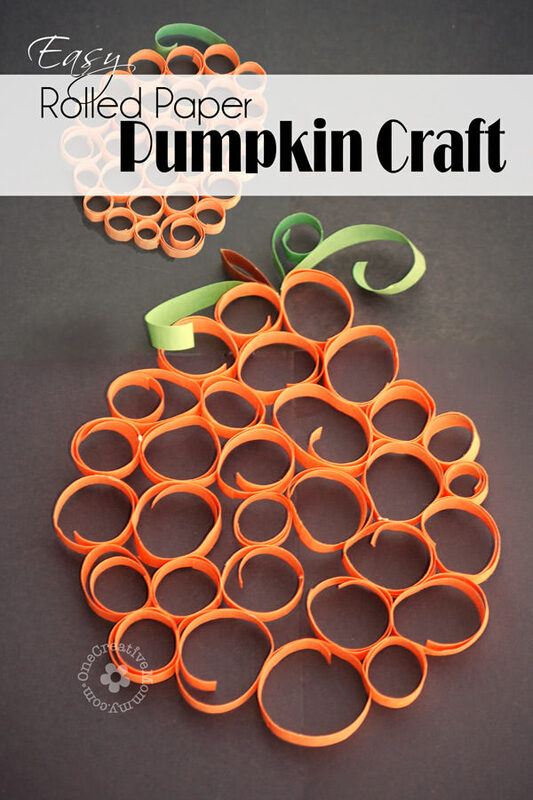 I love paper crafts since my younger kids can usually do them without too much assistance. Thanks, Barb. Thankfully, this one isn’t too messy. I love crafts the kids can do without much help, too. 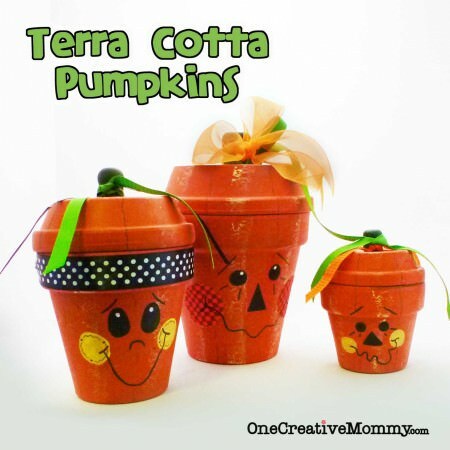 These look fabulous Heidi – and great for fine motor skill development too. I cant believe we never did this with the kids when they were young. This is something my daughter could totally handle. Maybe even my son!